Walden or, Life in the Woods, is a book by noted transcendentalist Henry David Thoreau. The text is a reflection upon simple living in natural surroundings. The work is part personal declaration of independence, social experiment, voyage of spiritual discovery, satire, and-to some degree-a manual for self-reliance. 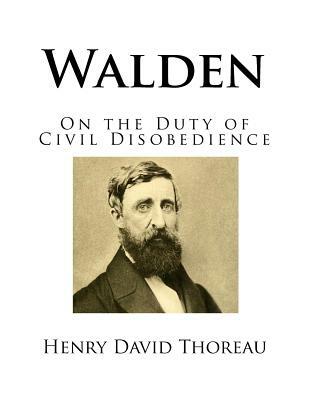 First published in 1854, Walden details Thoreau's experiences over the course of two years, two months, and two days in a cabin he built near Walden Pond amidst woodland owned by his friend and mentor Ralph Waldo Emerson, near Concord, Massachusetts. Thoreau used this time to write his first book, A Week on the Concord and Merrimack Rivers. The experience later inspired Walden, in which Thoreau compresses the time into a single calendar year and uses passages of four seasons to symbolize human development.